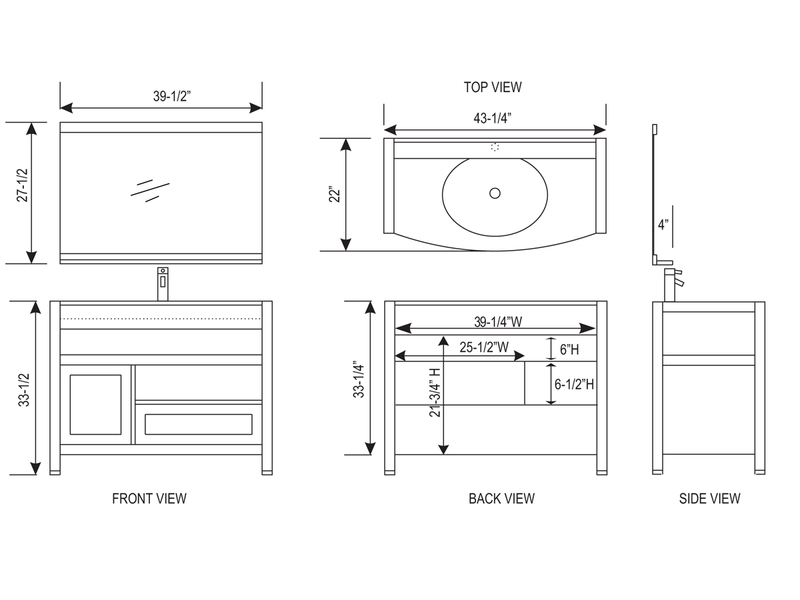 With an open design, our 43" Milan Single Bath Vanity offers a unique look to your modern bathroom. Made from solid oak with a gorgeous Oak finish, this vanity features a functional bottom drawer, a side cabinet, and open shelf-space for a truly remarkable look. 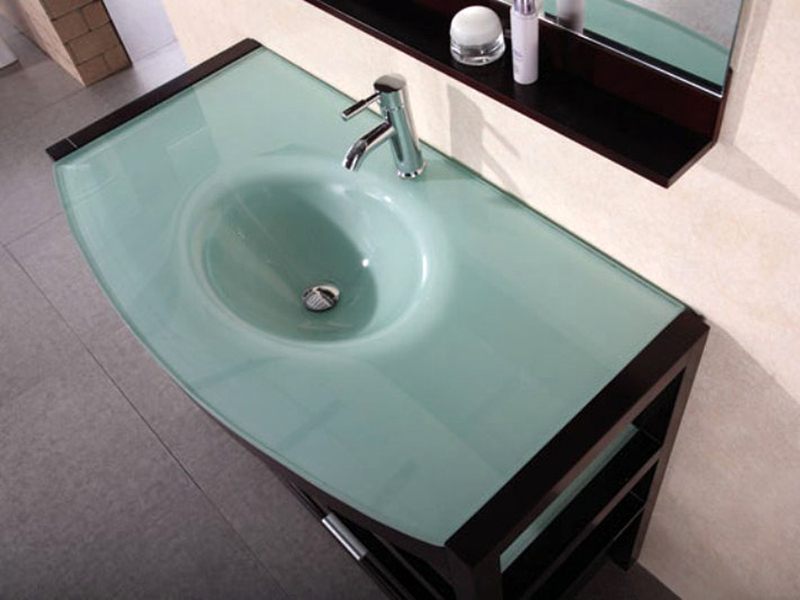 Frosted glass deck the counter top and central shelf for a maintenance free surface that is also scratch-resistant. A matching mirror gives your new vanity added functionality with a bottom shelf for housing soap and other bathroom necessities.